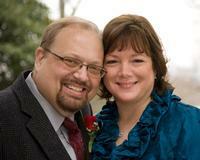 Rich Wyler is scheduled to receive a life-saving kidney transplant from his brother’s wife on September 13, 2012. Family and friends are raising money to help them pay for medical expenses associated with the transplant and follow-up care. The University of Virginia Transplant Center has strongly recommended and challenged Rich and his family and friends to raise $10,000 to help pay for kidney transplant costs and follow-up care for the first year after transplant. These are costs above and beyond what insurance will cover. It includes $5,000 in prescription costs for the first year (anti-rejection meds). The UVA Transplant Center has highly recommended working with HelpHOPELive as a fundraising partner because HelpHOPELive assures fiscal accountability of funds raised and tax deductibility for donors. Donors can be sure that funds donated will be used only to pay or reimburse legitimate medically necessary expenses. On behalf of Rich and his family, we thank you in advance for your kind consideration. Dear Rich, I'm so glad the operation went successfully. Thank you for your help on my journey. May God bless you on yours. May God bless you as you go forth with your surgery tomorrow. I and hundreds of people will be praying on your behalf. Rich - I pray for a successful healing journey for you, beyond your best expectations, and hope to staff more weekends with you. You are an inspiration to me. Keep fighting the good fight. Rich, I hope and pray all goes well for you with this upcoming surgery. You are very loved and one of my personal heros. May God be with you on this joruney! I hope my donation will help. You have blessed my life. God bless you, Rich. I will be praying for you. Best of luck! I hope my small donation will help a little. God bless you, a valiant warrior helping thousands of people in a healing journey. Now it's your turn for healing! You have blessed my life beyond measure.